Burj Al Luqluq Social Center organized a solidarity day for Al-Fasayel Village children and youth. The event was financed by the British Council with a cooperation of Al-Fasayel club and its country’s committee. Activities involved were a football match among children, play, clowns and inflatable games. 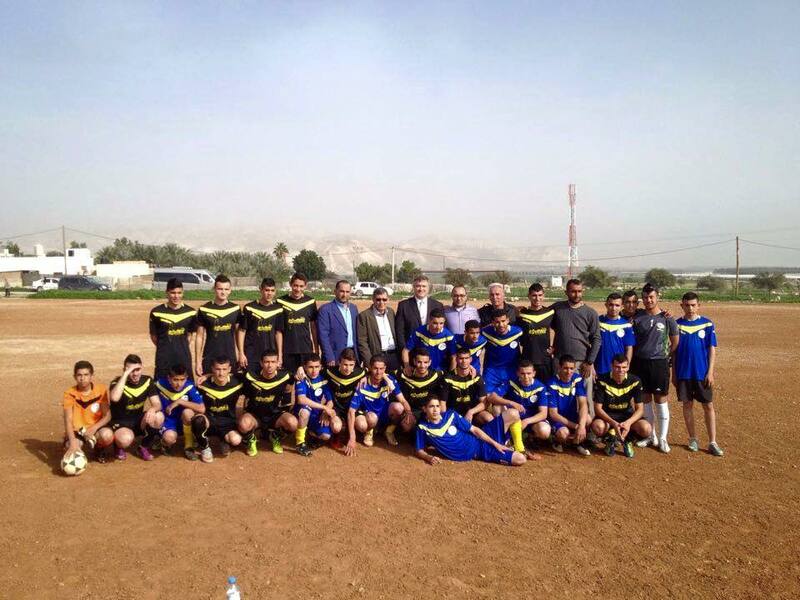 The British Council Alester Makvil , Jericho governor and engineer Majed Fityani , Committee manager Ibraheem Mahmoud Obeidat , head officer of the club Sameer Nuwara , Head officer of Burj Al luq-luq Social center Naser Ghaith and its manager Muntaser Edkaidek and Nihad Zughaiar and players of the club were involved in the openings . Activities started with a number of 150 participants from the village. Muntaser Edkaidek has given a welcoming speech for the audience, participants and the British consul thanking the hosting club and its managers for their contribution. Then, the Consul presented sport kits for Fasayel football first team in presence of Sameer Nuwara, the head officer of the club.